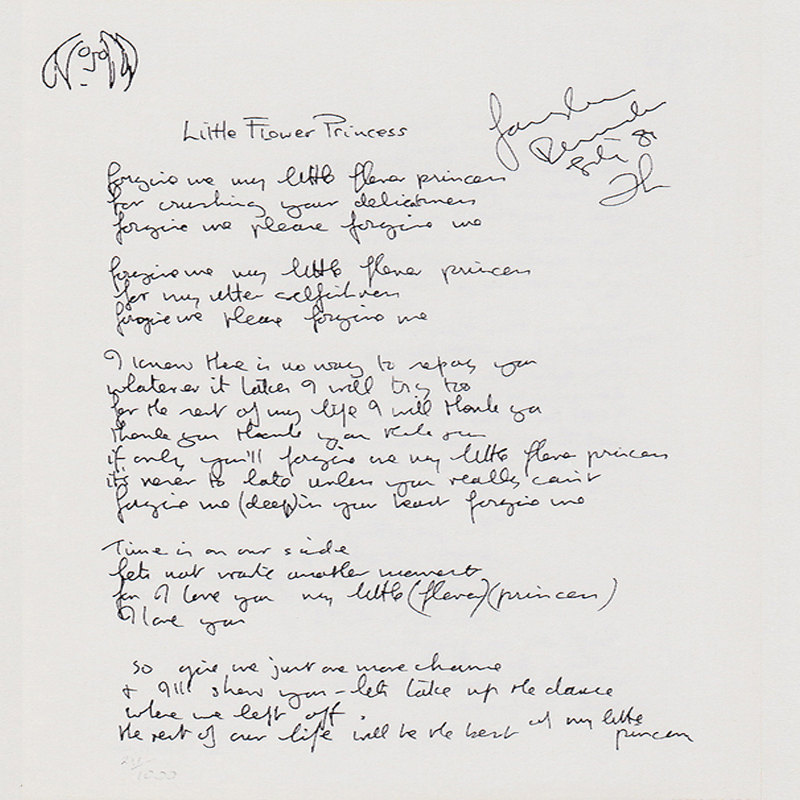 Forgive Me My Little Flower Princess is one of the songs written by John Lennon during his 1980 holiday in Bermuda. The song was released on the posthumous collection Milk And Honey in 1984. Lennon spent seven weeks in Bermuda in the summer of 1980. While there he wrote several songs and recorded demos of more, including (Forgive Me) My Little Flower Princess. His handwritten lyrics from the time are annotated "Fairylands July 1980". The song, like so many of the time, was written for Yoko Ono, and was an apology for hurting or offending her.